Besides the thrill and entertainment that the 2018 FIFA World Cup brought, it was full of critical lessons that web and mobile developers can use to take their careers to the next level. From big teams falling to the underdogs to technology making critical match-changing decisions to surprises filling the stadiums, the happenings during the World Cup carries with it lessons—beyond the 90+ minutes that each match was played. For example, if you want to create an online voting web application like Ricardo does it here, or any other type of application, the soccer event could inculcate important lessons to help you sew things together well. Here are three key 2018 World Cup lessons that programmers can take home from the monumental sporting event. Although Croatia lost to France in the final match by 4-2, the Croatian team will be remembered as the greatest underdog performance in the tournament’s history. Croatia, with a population of four million people—one-13th the size of England’s—surmounted economic and demographic odds to brush shoulders with the giants and reach the event’s pinnacle. Furthermore, how the little country with big dreams showed an indomitable spirit throughout the matches is encouraging. In most of the matches, the Croatian team had to claw back from behind—after conceding some goals—which affirms its strong endurance and never-say-die attitude. Actually, the team won three knock-out matches during overtime, demonstrating their mental strength under massive pressure. As a web or mobile developer, how many times do you throw tantrums when your code doesn’t compile? When things seem not to be working, do you give up coding the application altogether or you reevaluate your mistakes and seek for assistance? As demonstrated by the endurance of the Croatian team, you need to safeguard your weaknesses through overplaying your strengths—without lamenting at the odds that are against you. Emerging winners in a football match requires experts in various domains—goalkeepers, defenders, midfielders, strikers, and coaches—to work together to achieve the victory. Every player has a role that he needs to deliver, while collaborating with the others in the field. In the 2018 World Cup results, the players that embraced teamwork brought glory to their countries. For example, France took home the trophy because of their wonderful display of teamwork. As a developer, you need to learn how to work with others, regardless of their backgrounds and nationalities. If members of a team complement one another’s development skills and collectively join hands in completing tasks, they become more productive as a unit than when working at individual levels. If you are a coding superstar and you cannot work together as a unit with other programmers in your team, the chances of success will be dwindled. For example, although Portugal and Argentina had the most talented and awe-inspiring stars in their squads—in Christiano Ronaldo and Lionel Messi respectively—they were unable to utilize teamwork to reach the tournament’s pinnacle. For the first time in the history of football, new technologies were used extensively during the FIFA 2018 World Cup to assist the match officials in making game-changing decisions. For example, a notable technology that has ignited a lot of debate is the Video Assistant Referee (VAR). The video technology was introduced to assist referees review footages of the game before making critical decisions, such as during the final match when the referee used the VAR footage to award France a 38th-minute penalty. 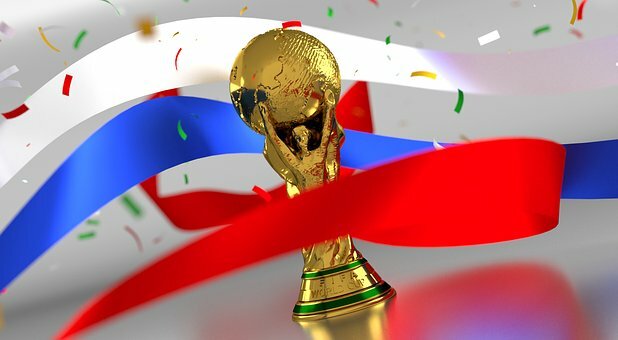 The fact that FIFA, the organization that governs football in the world, adopted new technologies to improve the quality of the tournament shows its commitment to ride with the changing times; the world is quickly adopting new technologies to improve processes and enhance efficiency of outputs. As a web developer or mobile developer, you should also continuously adopt new technologies or your applications may not meet the current demands of the modern audience. For example, why should you rely on legacy code that will give you maintenance headaches while a new framework has been released that can improve the efficiency of your operations? The 2018 FIFA World Cup has been concluded but the lessons that it brought to the fore are long lasting—especially for developers who often struggle with issues impeding their growth. What other lesson(s) did you learn from the concluded popular football tournament? Which one(s) will you use to progress your programming career?